Born in Udaipur on 30th December 1980, Capt. Raghav Raj Singh is an MBA from Edinburgh Business School, Scotland, alumni of Mayo College, Ajmer, Cheltenham College (UK) and St. Stephens College, Delhi. Capt. Singh is interested in promoting humanitarian and philanthropic activities and currently the Managing Trustee of Shivrati Trust founded in 1949 C.E., Chairman of Devsthan Charitable Trust, Honorary member of Cultural and heritage preservation society (New Delhi), member of Nehru centre (UK), Member of Hurlingham Polo Association, the Indian Polo Association, Cinencseter Park Polo Club and Army Polo and Riding Club. Capt.Raghav Raj Singh is an eminent international Polo Player, having won many accolades and trophies. His personal interests in promoting social projects have endured the patronage of HRH Prince William and HRH Duchess of Cambridge. Previously he has also worked with a leading healthcare infrastructure development group based in the UK and have been instrumental in developing tourism & lifestyle activities in Udaipur. Dr. Kapil Dev Sharma is born in Kolkata, on 19 November 1950 is Ph.D. in agricultural engineering and educated at College of Technology and Agricultural Engineering, Udaipur and Indian Institute of Technology Bombay. Before taking retirement as Technical Expert (Water Management), National Rainfed Area Authority, Planning Commission, New Delhi in 2013, Dr. Sharma was Director, National Institute of Hydrology, Roorkee, Head of Division, Resource Management, Central Research Institute for Dryland Agriculture, Hyderabad, Scientist Central Arid Zone Research Institute, Jodhpur. 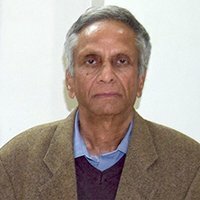 Dr. Sharma has been honored with ICAR Team Research Award in 1984, EC Marie Curie Bursary in 1993, National Hydrology Award in 1996 and USDI Appreciation Certificate in 1997. His main interest and research Areas are Arid zone hydrology, numerical modelling of hydrological processes, satellite hydrology, soil erosion prediction and control, soil and water conservation engineering, sediment transport and deposition, rainwater harvesting and runoff farming, water resources development, watershed management, drought management, rehabilitation of degraded lands, etc. 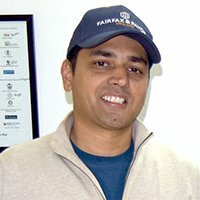 Currently Dr. Sharma is Head Technical and R&D, Greenfield Eco Solutions Pvt. Ltd., Jodhpur and; Honorary Visiting Professor, Department of Hydrology, Indian Institute of Technology, Roorkee. 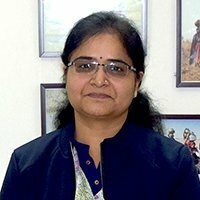 Deepti Sharma is Ph.D. in Water Laws from University college of Law, MLSU, Udaipur. Being an environmental Engineer and masters in law her keen interest is how to develop a cadre of young water literate / wise water communities through enhancing they're knowledge etc. Deepti is carrying 10 years' experience of teaching and environmental issues consultancies.